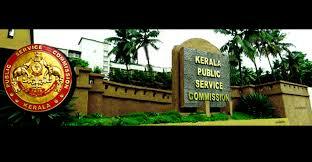 Kerala Public Service Commission had invited applications for various posts vide gazette dated 28/2/2017 for 33 posts from category No.1/2017-33/2017 in various departments of Kerala Government. Last date for submitting application is 29/3/2017. Candidates can log on to their onetime registration portal in www.keralapsc.gov.in and submit their application. Those who have not done the one time registration should do the same and submit the application online.